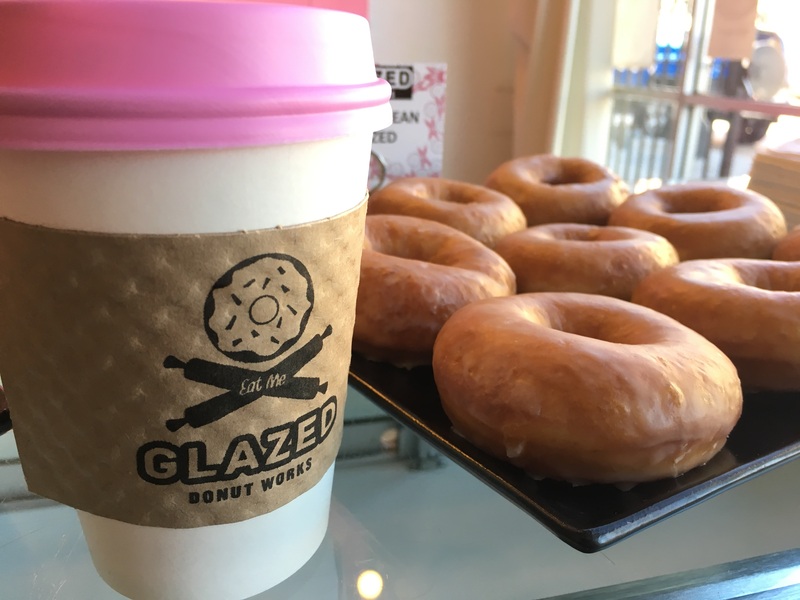 Glazed Donut Works in Deep Ellum was already the go-to early morning and late night spot for deep fried goodness. 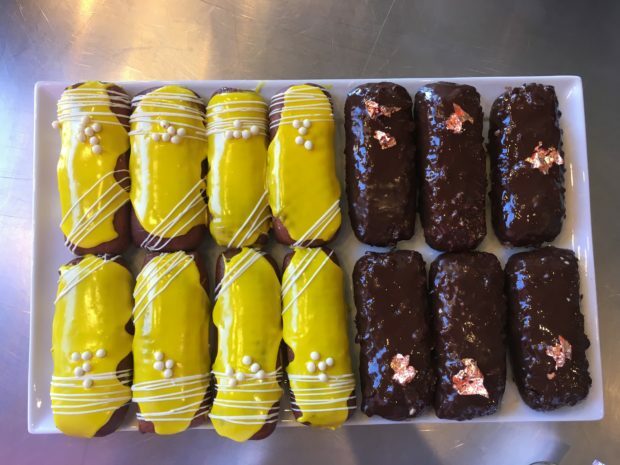 A few months back, Joe Baker was working with shop owner Darren Cameron as a consultant with Glazed’s dreams of its second location in Plano’s Legacy Food Hall. Now Joe Baker does more than just consult as he is now the executive chef of Glazed Donut Works. 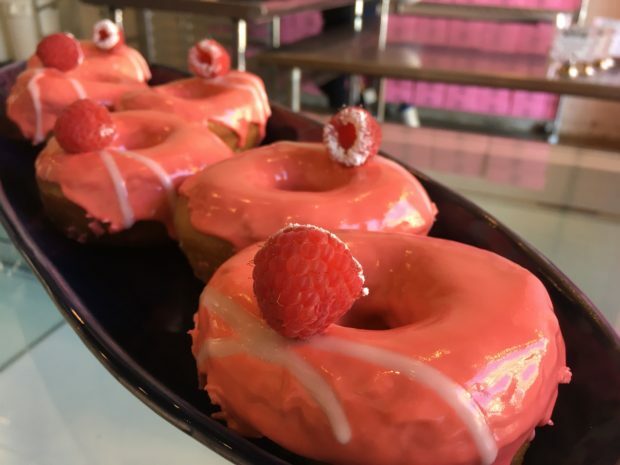 Baker has inspired owner Cameron and looks to bring chef-driven doughnuts to Dallas from the place that already has its consistent following after a heavy night of Deep Ellum debauchery. At least you can now end your evening with a pastry that has been expertly crafted for those palates in a Michelin starred restaurant. Go ahead, pinkies up! The first order of business was the dough. Darren Cameron calls the new batch a brioche-style dough which results in a lighter, longer lasting dough that can be enjoyed not only fresh out of the fryer but can stand the test of time a few hours after purchase (no one likes day-old donuts, but these might change your mind)! 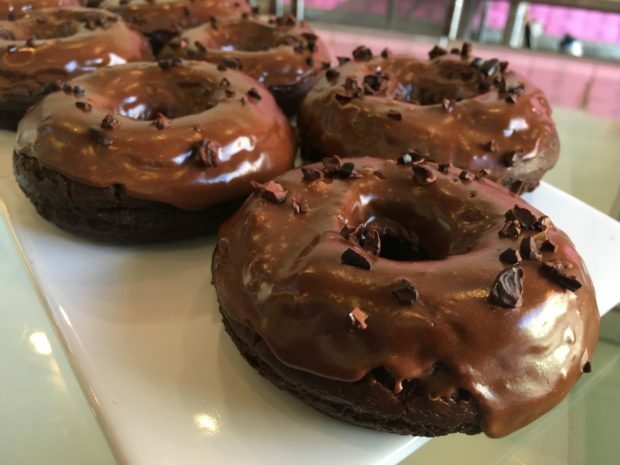 Enough talk about the ins and outs, lets take a look at some of the delicious offerings that Glazed Donut Works is serving up on any given late night in Deep Ellum. The classic vanilla bean glazed and a cup of joe to jump start your mornings. A hint of fresh fruit on this raspberry donut adds a subtle hint of healthy. 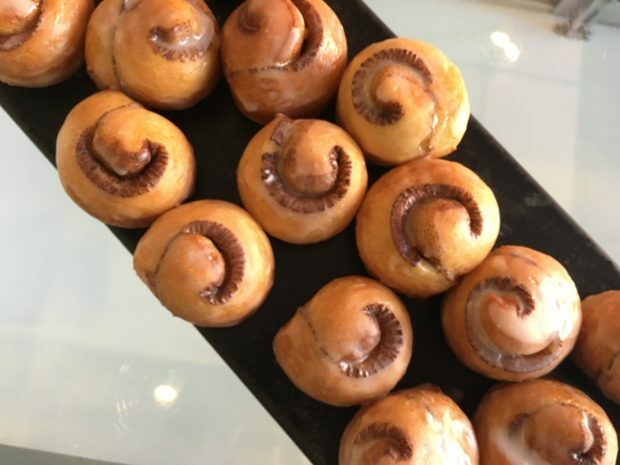 Mini cinnamon rolls are bite-sized morsels that pair well with a piping hot cup of coffee. 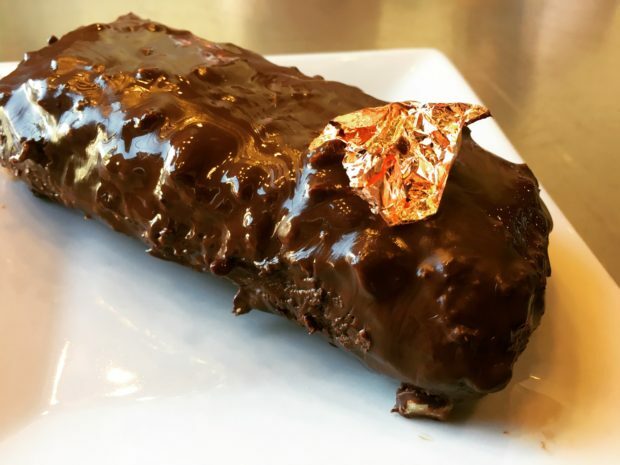 Decadence: noun – edible copper flakes on this chocolate and Nutella eclair. This is fancy. The Deep Ellum Mother Pucker on the left with a hint of lemon and tastes just as good as it looks. 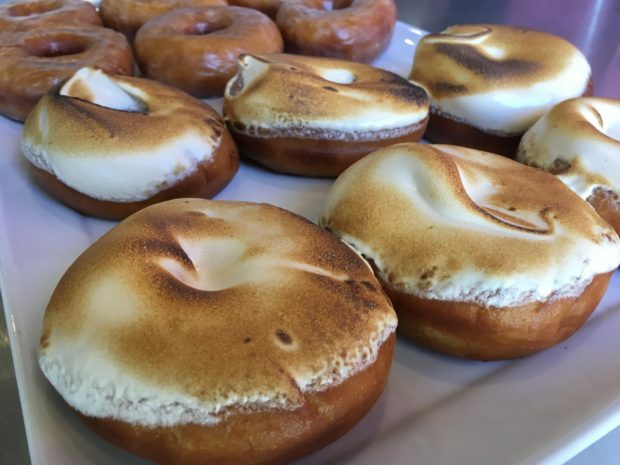 Just in time for the colder temperatures, warm up with a toasted marshmallow sweet potato donut. My meal was complimentary and my opinions and photos are those of my own.